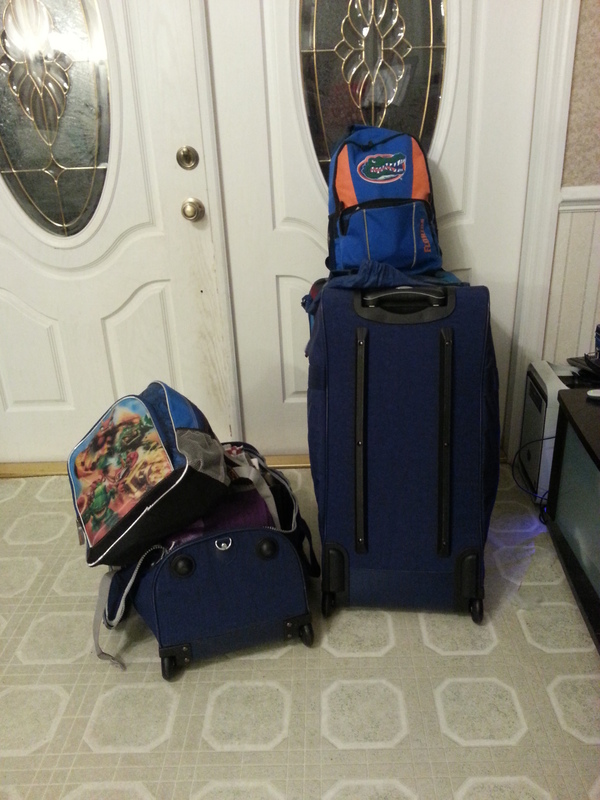 The bags are packed by the front door, while children still slumber in their beds. We’re up early, the keen edge of anticipation providing an early shock of adrenaline. You see, today we hop on a plane (or 3) and trek up to an icey, snowy adventure in Fairbanks, Alaska. Aurora borealis viewing, dog mushing school, and the World Championship Ice Festival are all on our agenda. Mom and Dad were supposed to join us, but Mom’s unfortunate broken leg means they’ve had to cancel. So, it’s just Jon and I, the boys and Jon’s mom now. Still a fun group, but bittersweet at losing two. My mom and sister have requested daily posts to keep the abreast of all our adventures. Daily posts they shall receive! Today is going to be a long one. We don’t land in Alaska until close to 9pm (past midnight our time!). Tablets, Kindles, DSs are all charged. We’re prepared and ready to go! See y’all on the flip side, our Alaskan Adventure beckons.